Darlington Music Society’s next concert is on Saturday 27th April at the Dolphin Centre at 7.30pm. 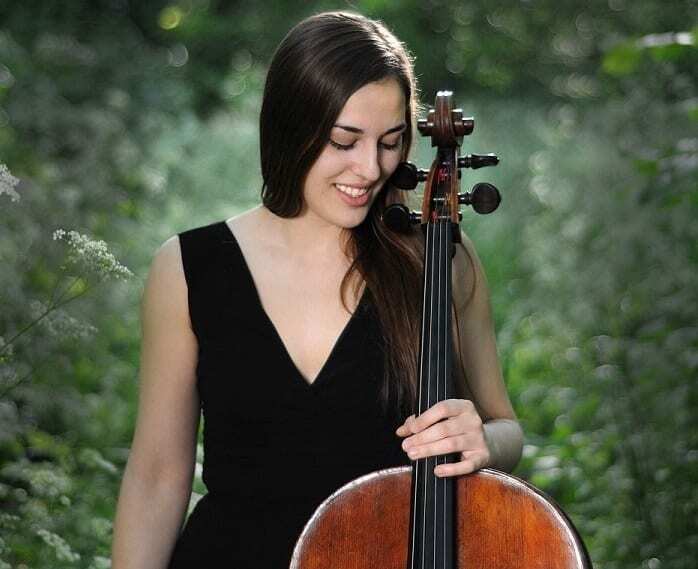 The concert is going to be given by cellist Yoanna Prodanova and pianist Mihai Ritivoiu. They will be playing pieces by Shostakovich, Chopin, Janacek and Faure. Yoanna studied at the Conservatoire de Montreal, Canada. She is the recipient of the 2016 Philip and Dorothy Green Award for Young Artist. As a concerto soloist she has performed with the Amari Orchestra, Banbury Symphony and Surrey Philharmonic and the Sinfonia de Lanaudierfe (Canada) and Dobrich Chamber Orchestra (Bulgaria). She regularly performs in the UK, Europe and Canada and has appeared at the Wigmore Hall, Milton Court and the Barbican Hall. She is a dedicated chamber musician and is the cellist of the Barbican String Quartet which had their Wigmore Hall debut in 2017. Mihai Ritizoiu graduated with the highest honours from the National University of Music in Bucharest in 2012. He has played as a soloist and chamber musician in Romania, England, France, Portugal, Switzerland and Italy performing at the Wigmore Hall, St-Martin-in-the-fields, Barbican Centre and Romanian Athenaeum. Most recently Mihai was awarded the Gold Medal in the Beethoven Piano Society of Europe Intercollegiate Competition. To find out more, visit the DMS website.